Ripple aims to work with banks and be a mechanism for banks to transfer money between people. This makes Ripple different to other cryptocurrencies, who aim to decentralises financial institutions and put the power with the individual. This makes Ripple both appealing and controversial – therefore, something of a mystery in terms of price. Price will rise with demand, but will the banks take up the offer? With such a speculative offering it is important to stay in touch with the latest data, using our Ripple calculator. The Ripple calculator takes into account the current trading price between cryptocurrencies – as Ripple can only be bought if converted from Bitcoin, Ethereum or Litecoin. Exchanges do not sell Ripple for fiat currency. 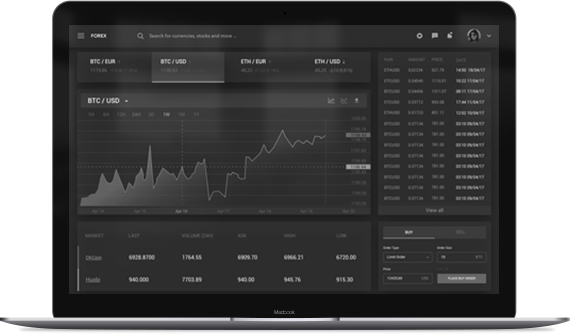 The Ripple calculator also takes into account the exchange rates of fiat currency, in order to give the most accurate price. The formula used is: value in USD = exchange rate x amount of Bitcoin/ Ethereum/ Litecoin it would take to convert to the number of Ripple owned or required. This is a real-time Ripple calculator. This means that the data drawn to the site is the most up-to-date information you could ask for when deciding on your investment options. Just enter the amount of Ripple you would like to purchase and discover the price. Alternatively, enter the number of Ripple you own and find out much worth is held in the coin at that moment. A Ripple converter is simply a mechanism for buying and selling Ripple. The process of buying Ripple is similar to other altcoins. This means that you need to buy some of the major cryptocurrencies using your credit/ debit card or your bank account. You will then need to use an exchange to convert this to Ripple, which you can then store in your digital wallet. It is possible to go to some exchanges where they will facilitate the exchange between fiat currency and Ripple without any knowledge of the intermediate step. However, it is a good idea to shop around and make sure this means you are getting the best price possible – using the Ripple calculator as a guide for the sort of pay out you should be expecting. The act of buying and selling Ripple is meant to be a mechanism of transacting money across borders. Therefore, the value of Ripple can be judged by the market cap, to a degree. However, there is also inherent value in the mechanism itself, which solves a problem for banks and other institutions wishing to send large transactions almost instantaneously. The simplest way to think about your Ripple converter is as an online exchange platform – similar to the foreign currency exchanges you would have experienced before travelling abroad. You can go to these sites and buy and sell Ripple. When you cash out your Ripple it will first be stored as a cryptocurrency such as Bitcoin, then you can request a transfer of fiat currency to your bank account, credit card or debit card. You could even link your account with the exchange with your PayPal, receiving and sending payments in this way. When considered in these terms, you should realise that using a Ripple converter could not be simpler. The art of dealing with finances on the internet in any shape or form requires solid research. You need to know that the level of security is outstanding, and the reliability of transactions can never be doubted. The level of trust you hold in these exchanges is important to their success, after all you are holding a significant digital asset within their software and hardware. There has been some talk about hacking and about people’s wallets being wiped of all currency. The sort of things you are looking for when researching include mentions of cold storage, liquidity and regulation. Cold storage is the process of holding Ripple offline and out of the reach of hackers. A site is likely to hold as much as 95% offline and therefore safe. This directly impacts on liquidity, as these funds are not immediately available for transactions. With the number of Ripple in circulation it is unlikely this would be an issue. Yet, it is more of a problem for Ripple owners than other altcoins. This is because the point of the mechanism is to transfer large sums of money, quickly. Therefore, it is worth checking this out with the different exchanges. Finally, you should check the sites badges and About Us content to see if they open themselves to external regulation and verification. It may be that the point of cryptocurrency is deregulation, but these sites are acting as a financial institution of sorts and therefore their practice should be scrutinised. Most US sites open themselves to state-level regulators and therefore inspire a higher degree of trust in their practices. Knowing when to use the Ripple converter is not a simple matter. It is likely that Ripple will be converted more than most other cryptocurrencies – as the point of the mechanism is the transference of funds across borders. The Ripple system is a real-time gross settlement service (RTGS), which is also know as the Ripple Transaction Protocol (RTP). In short, this means the point is to send money quickly and with limited transfer costs. However, if you are buying Ripple as a commodity because you can see value in the mechanism of trade – then you are banking on the price of Ripple rising before you sell on. At this point, the answer to: when should I convert? becomes a lot more complicated. The answer is: it depends. It depends on whether the promised connection with banks comes about and therefor the Ripple mechanism will be established as the formal go-to place for international transfers. As with anything, any answer to this will be pure speculation.